What is Manual Therapy ? Manual therapy, or manipulative therapy, is a physical treatment primarily used by Physiotherapists to treat musculoskeletal pain and disability; it most commonly includes kneading, manipulation of muscle, joint mobilisation. Manual Therapy improves mobility in areas that are restricted; in joints, in connective tissues or in skeletal muscles. What are the Benefits of Manual Therapy ? 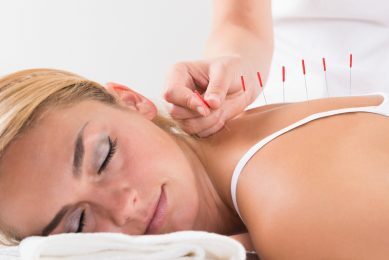 Acupuncture is used to treat musculoskeletal, disorder and inflammation of the joints.